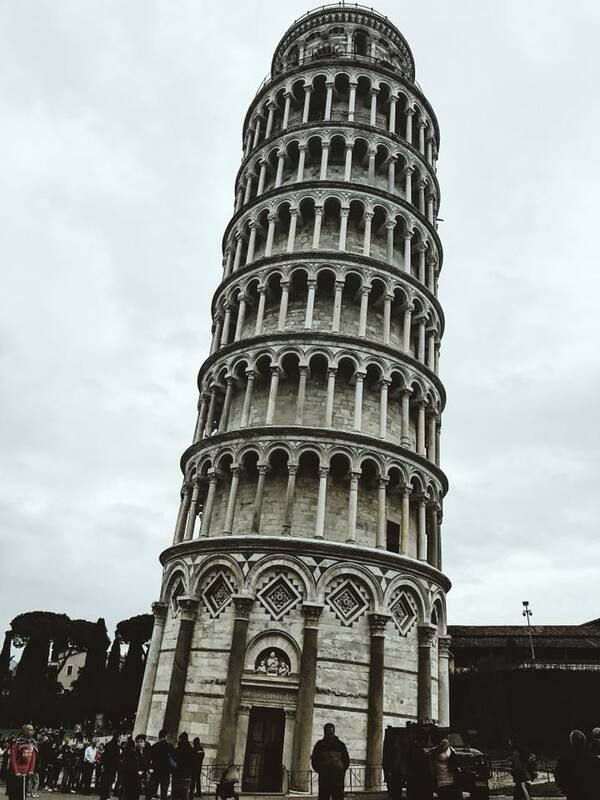 The Leaning Tower of Pisa is one of those over-popularised places that you kind of have to see. But there isn’t a whole lot else there so if you have the time, I’d recommend a half day visit from Florence. I caught the train from Florence to Pisa, using the European version of Trainline to book my tickets as it’s familiar to me living in the UK and usually gives good prices. Edit: I’ve since been informed by a local that there are more than likely cheaper options if you buy on the day, and you won’t have any protection if the train is delayed or cancelled when booking through the Trainline – I had no problems with the tickets I purchased. As I had limited time in Florence, I caught the 08:05 train from Florence Santa Maria Novella station (watch out, there’s two train stations in Florence), that arrived into Pisa Centrale at 09:22. It was around twenty minutes walk to the tower, you shouldn’t have too much trouble finding it – just follow the crowd. I booked the 13:12 train back that arrived into Florence at 2pm, but even after climbing the tower, visiting the cathedral, perusing the tourist market stalls and finding somewhere to eat, I was still ready to leave earlier. That said, I did feel like I had enough of a flavour fo Tuscany that I feel a real desire to explore more of the central Italian region. The tickets booked through Trainline cost €8.40 each way with TrenItalia – this was Class 2a (standard) without a seat reservation. There was no need to validate my ticket since the ticket showed the date and time. They’re quite strict on time, so you’ll need to queue around 15 minutes before your allocated time. Bear in mind that you have to check in any luggage – even small handbags – into the cloakroom. This is free, but it is compulsory, so I’d do it after purchasing your ticket if your time slot is fairly soon. 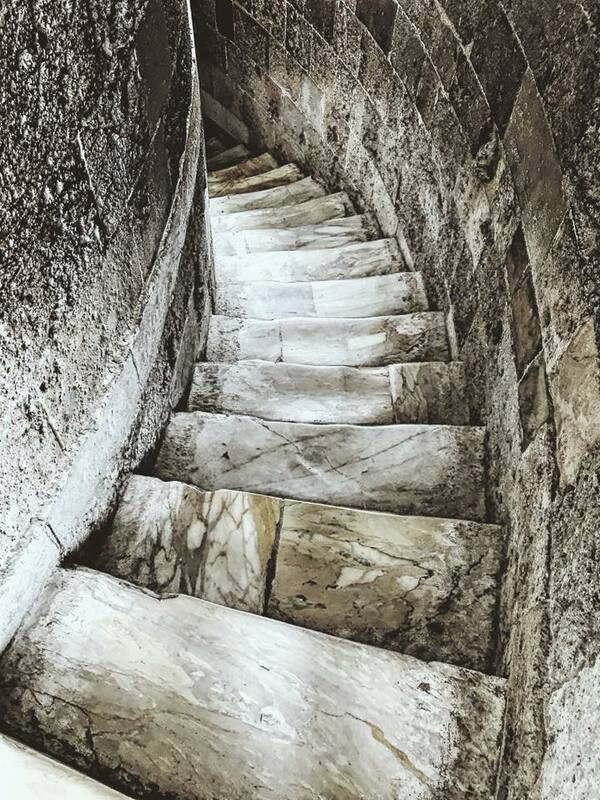 There are a total of 257 marble steps. The climb can be quite strenuous but there’s places to catch your breath on the way. They’ll wait for all ticket holders to gather in the bottom area before the ascension begins. You”l have a total of 30 minutes. The Cathedral is worth seeing since you’re already there and it’s inclusive of your ticket. There is no option to buy single entry to the tower, it’s both or nothing! The cathedral is located right next to the tower, seeing as the tower is in fact the cathedral’s Campanile. By this point, I’d seen a million churches in Venice so its grandeur was a little lost on me. 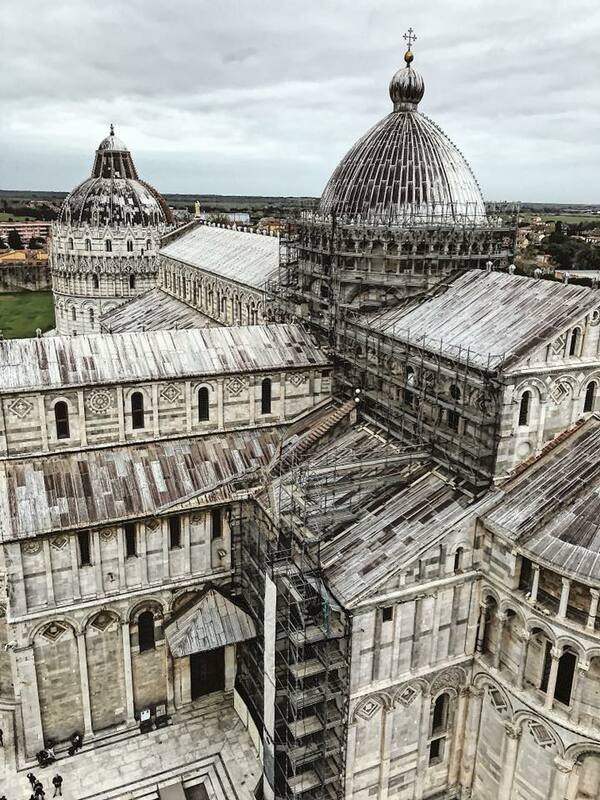 Despite sounding like a bit of a negative Nelly, I am really glad that I got to see this world-famous tower, especially as it was so easily accessible from Florence. I do wish I’d had more time in Florence, so if I were to go back and do it again, I’d buy my return ticket on the day so I’m not restricted to a time.